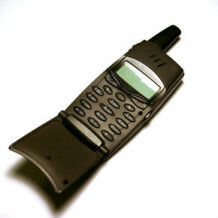 The use of mobile phones is getting more prevalent by the year. And recent research conducted at Tel Aviv University in Israel has found that heavy users of mobiles phones have a 50% higher risk of getting cancer of the salivary glands. The study was published in the American Journal of Epidemiology and compared the cell phone use of 500 Israelis with salivary gland tumors to that of 1300 Israelis who did not suffer from the disease. The study discovered that people who used cell phones a few hours each day on the same side of the head had 50% more likelihood of getting the said tumors, when compared to people with less frequent usage of cell phones. Interestingly, heavy cell phone users who lived in rural areas had higher risk than urban dwellers. The study team conjectured that a possible reason was the higher level of radiation which was required for cell phones to work in areas with fewer towers. While other studies have looked into the potential dangers of cell phone use, most of them fail to take into account its long-term effects, which is a significant research gap because many radiation-related health conditions may take a long time, perhaps a decade or even more, to surface. According to the research team, carrying out their study in Israel helps to cover this gap, because the level of cell phone use in the country is very high, and this enables adverse health effects to be “accelerated”, so to speak. “Compared to other studies, the amount of exposure to radiofrequency radiation we saw here was much higher. If you like, you’re seeing what could happen elsewhere ‘speeded-up’ in Israel,” said Siegal Sadetzki, leader of the study team. Source: Frequent Cell Phone Use Raises Risk of Salivary Gland Cancer from All 4 Natural Health News.